We all remember those “bubble gum” flavored fluoride treatments when we were kids, YUCK! And we know our kids now still get fluoride every time they go to the dentist. But why do we stop getting it as adults? It seems weird to me, why at 18 years old do we stop wanting to protect our teeth with something quick, easy, cheap and much better tasting now. This is a perfect example of insurance dictated healthcare. 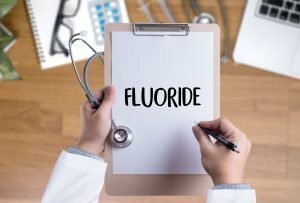 Fluoride is commonly used in dentistry to help preventing cavities in children and adults. Fluoride makes the outer surface of your teeth (enamel) more resistant to the acid attacks that cause tooth decay. Therefore, it has been recognized as an important nutrient for healthy teeth. Sensitive teeth, fluoride helps a ton! 3. 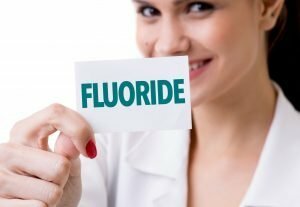 Why do you need fluoride? There are ton of reasons to get it, but the main one is so simple: PREVENTION! I would rather prevent a cavity than treat it. Fluoride varnish is quick and should cost about $30. Nowadays, it tastes way better than those fluoride trays we had as a kid. You can eat right away and re calcifies teeth for hours after the treatment. At Carolina Dental Arts, we assist patients of all ages with general and cosmetics dentistry. If you would like to learn more about fluoride treatments in Raleigh, contact us today to schedule a free consultation about a custom dental appliance.